On May 15, 2002, a previously healthy female infant aged 15 months living with her family in New York City was found by her parents to be playing with a white rodenticide powder that they had brought from China and applied in the corner of their kitchen. After 15 minutes, the child had generalized seizures and was taken to an emergency department. Her initial blood glucose level was 108 mg/dL (normal range: 80-120 mg/dL). Despite aggressive therapy with lorazepam, phenobarbital, and pyridoxine, she had intermittent generalized seizure activity for 4 hours and required intubation. Translation of the rodenticide package labeling from Chinese to English did not clarify its contents. A search of the China National Poison Control Center's (NPCC) web-site for rodenticides suggested that the ingredients might have included sodium monofluoroacetate, fluoroacetamide, tetramethylenedinitrosotetramine, or strychnine. However, an initial laboratory analysis was negative for sodium fluoroacetate, fluoroacetamide, bromethalin, strychnine, 1,3-difluoro, 2-propanol, and carbamate insecticides. On September 14, a snack shop owner in China poisoned food in a competitor's snack shop with a rodenticide identified as Dushuqiang, resulting in 38 deaths. Although Dushuqiang, which contains TETS, has been banned for sale since the mid-1980s, it is still widely available in China. Following news reports of this incident, the New York City Poison Control Center conducted additional laboratory testing of the product associated with the poisoning in New York City and confirmed TETS in the product by gas chromatography-mass spectrometry (GC-MS).1 TETS concentration was 6.4% weight/weight [w/w] in one rodenticide packet and 13.8% w/w in another. F Barrueto Jr, MD, LS Nelson, MD, RS Hoffman, MD, New York City Poison Control Center; MB Heller, PhD, Public Health Laboratory, General Toxicology and Environmental Science Laboratory, New York City Dept of Health and Mental Hygiene; PM Furdyna, New York State Div of Environmental Conservation; RJ Hoffman, MD, Div of Toxicology, Maimonides Medical Center, New York, New York. KS Whitlow, DO, MG Belson, MD, AK Henderson, PhD, Div of Environmental Hazards and Health Effects, National Center for Environmental Health, CDC. TETS is a little-known, often unrecognized, and highly lethal neurotoxic rodenticide that once was used widely. An odorless, tasteless, and water-soluble white crystalline powder that acts as a g-amino butyric acid (GABA) antagonist (China Center for Disease Control and Prevention [CDC], unpublished data, 2002), TETS, like picrotoxin, binds noncompetitively and irreversibly to the GABA receptor on the neuronal cell membrane and blocks chloride channels. The most common routes of exposures are through ingestion and inhalation (China CDC, unpublished data, 2002). TETS is not registered by the U.S. Environmental Protection Agency for use in the United States, and its importation, manufacture, and use in the United States are illegal. The most recognizable clinical signs after a TETS exposure are refractory seizures. Other potentially serious signs include coma and possible electrocardiogram evidence of ischemia (China CDC, unpublished data, 2002). Symptoms typically begin within 30 minutes after exposure and can begin as long as 13 hours after exposure. Severe poisonings are usually fatal within 3 hours (Sun C, China NPCC, personal communication, 2002). TETS intoxication is determined rapidly from history and clinical suspicion. Laboratory identification, although not clinically useful in an acute presentation, is accomplished by several methods, including gas chromatography (GC) with nitrogen-phosphorous detection, GC with flame photometric detection, and GC-MS.1,4,5 TETS is registered with the Chemical Abstract Service Division of the American Chemical Society as number 80-12-6, molecular weight 240, and chemical formula of C4H8N4O4 S2. Every attempt should be made to identify this chemical if it is suspected. No proven antidote exists for TETS poisoning. Treatment should follow accepted modalities for a poisoned, altered, or seizing patient.6 Universal precautions should be taken to prevent secondary exposure of health-care workers. If TETS is suspected, regional poison control centers can provide information and guidance. 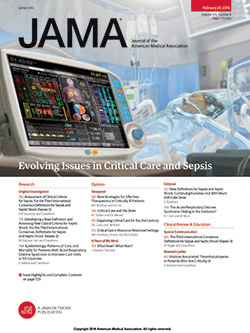 A small study of rodents conducted in China suggested that intravenous pyridoxine and dimercaptosuccinic acid might be effective treatments.7 In China, charcoal hemoperfusion and hemodialysis are used to provide extracorporeal removal in patients poisoned with TETS1,3 (Sun C, China NPCC, personal communication, 2002).